First Term 2018 is off to a GREAT start. Our Opening Day was smooth and the weather was perfect. Friday the girls signed up for their classes and had Free Swim in the afternoon. Saturday was the first day of classes and in the evening we had Tribe Hills and our Opening Ceremony with the Princess, which is always a special time. Sunday was picture day and the girls had a little retail therapy in the Camp Store, followed by Rest Period and Free Swim. Last night we had our first movie under the stars, “It Takes Two” and the girls seemed to enjoy that. There is not a cloud in the sky today and all the girls are learning their schedules. Tonight’s activity is Big and Little Sister Rally ~ a favorite activity for all. We have noticed that some of you are STILL using our old email address ~ please update our email address in your phones, etc. 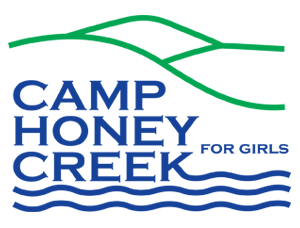 to: camp@camphoneycreek.com. I hope to update this web page every Monday, Wednesday and Friday ~ Enjoy!! !